Manufacturing has evolved dramatically over the course of the last two decades. Physical plant remains relevant. Recent trends and upheavals in the global economic structure have added to the challenges and complexities. Successful manufacturing recruitment requires a deep understanding of the industry’s evolution plus a keen insight into the future of the global economy. Our manufacturing recruiters recognize that with challenges come opportunities and innovation. 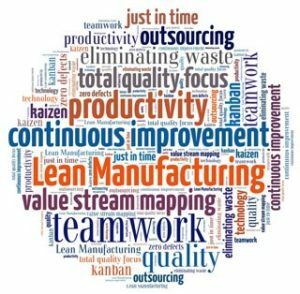 To increase competitiveness and drive down costs, manufacturing companies have turned to continuous improvement efforts like Six Sigma and Lean Manufacturing. They have expanded their supply chains from a regional to a global platform. And they are increasing inventories and jumpstarting the entire manufacturing process. To accomplish this requires finding and keeping transcendent manufacturing talent – from engineering production line management to the C-suite. Manufacturing recruitment has never been more imperative, and the talent marketplace is both global and competitive in scope. At M. Thrailkill & Associates, our recruiters work with knowledge, speed, and discretion to help you hire the proven talent you need. We do our own exhaustive research and work closely with you to help you solve current problems and achieve long-term recruitment success. M. Thrailkill & Associates has experience in placing manufacturing professionals nationwide in all levels of leadership. Our innovative approach to finding leadership candidates can help your company compete in this ever-changing industry and create a strong workforce of qualified leaders. No Manufacturing opportunities at this time. At M. Thrailkill & Associates, our recruiters work with knowledge, speed, and discretion to help you hire the proven talent you need. We do our own exhaustive research and work closely with you to help you solve current problems and achieve long-term recruitment success. M. Thrailkill & Associates has experience in placing hospitality professionals nationwide in all levels of leadership across multiple disciplines. Our innovative approach to finding leadership candidates can help your company compete in this ever-changing industry and create a strong workforce of qualified leaders. Managed Dining Services for higher education, health care, business and industry and entertainment venues provide increased reward for the population through audience focused approach in identifying and providing services. Food served in the workplace, at a university or in a healthcare setting is more than just a cafeteria with a few options. From full-service cafés featuring made-to-order ethnic dishes, coffee bars and even unattended micro-markets, to executive dining, catering and special events, managed dining supports the dining marketplace with customized programs designed to keep your employees, students or guests productive and satisfied – not to mention healthy. They also contribute to the economic, social and environmental development in the communities which they serve. M. Thrailkill & Associates has unparalleled experience in finding industry leadership that will elevate your team to be successful. 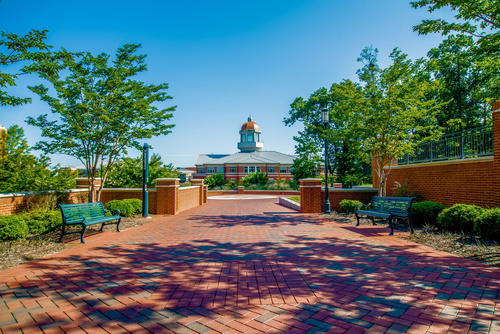 District Manager/Washington DC Area: Award winning, growing Dining Management Company seeks a dynamic District Manager who is forward thinking in their management style with the energy and desire to drive campus operations for multiple healthcare and senior living accounts in the Washington DC/Virginia area. Qualified candidates will have proven successful experience overseeing multiple hospital accounts. Previous healthcare experience is required and senior living experience is preferred. This role is very relationship driven and the hiring company is looking for an individual who is passionate about engaging the client as well as working with a diversified management team and patient population on medical campuses. Familiarity of the current trends in nutrition combined with the leadership innovation to challenge and motivate the management teams is highly desired. Relocation assistance is available. Please refer to Job ID (MLT 5753) when inquiring. Vice President of Healthcare Dining Operations/Syracuse, NY: Reporting to the Sr. Vice President, this Vice President of Operations (VPO) is responsible for the overall operation of multiple accounts generating over $80M in revenue. This individual will be accountable for galvanizing a team under a common growth and operations platform, and ultimately drive improvement in operational efficiency, revenue, margin and client retention for each account in the overall portfolio. The VPO will work to continuously ensure the organization is delivering operational excellence, while also identifying innovative and creative services and solutions to expand on our clients’ requirements, working closely with internal and external partners. The incumbent of this position will be responsible for determining the overall strategy, priorities and direction for operations within the area, as well as new business. The ideal candidate is comfortable with change, taking measured risk, and influencing decision-making. Requirements include a minimum of 10-12 years of progressively responsible, successful experience in general management with full P&L responsibility – food or retail service sector preferred. Please refer to Job ID (MLT 5771) when inquiring. Vice President of Franchise Operations/TX: Award winning quick service restaurant organization with a PEOPLE FIRST CULTURE is looking for a Vice President of Franchise Operations. We seek a Vice President of Franchise Operations with experience leading 500 + restaurants with proven change leadership within the franchise community and proven success influencing across multiple lines of disciplines and initiatives. We are looking for thought leadership; ability to identify areas of opportunity, root cause analysis, building a business case and providing solutions for change that support the people first culture, philosophy and brand promise to its guest, employees and franchise community. We are looking for someone with a strong bias for results to drive the execution of the company’s initiatives to continue building this successful brand promise of providing the highest quality product offerings and extending great guest service. Please refer for Job ID (MLT 5781) when inquiring. Franchise Business Consultant Director/Dallas, TX/Las Vegas, NV/San Francisco, CA: We have an exciting opportunity with a National Quick Service Restaurant Chain looking for an experienced Franchise Business Consultant Director! This role will provide consultative and strategic leadership to the company’s franchise community in Texas and the Seattle areas. The FBCD will provide brand execution support to deliver an outstanding guest experience resulting in sales growth, improved profitability and increased market share. They will have responsibility for conducting and facilitating business reviews and will serve as a strategic business partner to the owners and their principals as it relates to achievement of operational and business objectives, ensuring the franchisees are growing and elevating their operational, financial and business results. This is a phenomenal career opportunity for a resourceful, results oriented franchise consulting professional that is passionate about guiding Franchisees in all aspects of the business. This role does not have any direct reports reporting to it. Please refer to Job ID (MLT5776) for Dallas, TX / Job ID (5783) for Las Vegas, NV/ Job ID (5790) for San Francisco, CA when inquiring. Human Resources Manager/Inland Empire, CA: A highly successfully, growing restaurant organization seeks a Human Resource Manager. This role will execute all General Human Resource areas of day-to-day support to organization including oversight of Talent Acquisition, Onboarding, Employee Relations/Engagement, Benefits and Compensation, Training and Leadership Development, Succession Planning, Legal Compliance, Payroll, Risk Management, Performance Management, and HR Analytics with ability and interest to specialize in specific areas as assigned. This is a direct report relationship to the Vice President of Human Resources and Vice President of Operations. Based in Riverside County, CA. Please refer to Job ID (MLT 5756) when inquiring. District Manager/Fort Worth, TX: Award winning franchisee of expanding national pizza chain is adding to their team! We are looking for an astute and conscientious District Manager to guide unit-level leadership teams in the Fort Worth area. This individual will be accountable for operations of all restaurants, maximizing profits, building sales through local marketing initiatives, and controlling costs while establishing, maintaining, and coaching company standards, expectations, and culture. This company seeks a respectful professional with strong coaching and mentoring skills to develop and empower the General Managers and team members, holding them accountable and providing them with constructive and actionable feedback in all areas to improve store operations and drive sales. Please refer for Job ID (MLT 5786) when inquiring. District Manager / St. Louis MO: Highly regarded franchisee of multiple brands of Quick Service restaurants with locations throughout the Midwestern US seeks to add an energetic District Manager who has the passion to develop and lead the field operations teams to continue the outstanding success this company continues to realize year after year. The hiring company is looking for a strong leader to be responsible for all restaurant operations in their territory, providing guidance to maximize profits, build sales, control costs and motivate and inspire teams. This role will be accountable for establishing, maintaining and coaching company standards, principles, expectations and culture. Additionally, this role will provide effective leadership in the areas of local store marketing and building commitment to the company’s mission and objectives in the local community. This opportunity is based in St. Louis, MO and local candidates are preferred. This is a great opportunity for a talented multi-unit manager who wants to be part of a great culture, fun environment and winning team! Successful candidate must be a self-starter, with high energy and have a solid understanding of managing and growing people, sales and profits. Multi-unit restaurant leadership experience is required. The individual selected will have a proven track record of workplace achievement in the selection, coaching and development of management teams, with a proven ability to simultaneously drive customer satisfaction, financial performance and employee engagement. Organization is looking for an individual with strong verbal and written communication, problem solving and conflict resolution skills. Please refer to Job ID (MLT5690) when inquiring. General Manager/Fort Worth, TX: Growing, cutting edge national pizza chain seeks energetic managers for their restaurants in the Fort Worth area. We are looking for individuals who have led solid operations with demonstrated ability to control food and labor costs. Ideal candidates must have pizza experience, know how to exceed guest expectations and create a fun work environment. We are looking for a top performer with a demonstrated track record of positive sales building and running high performing operations; someone with a proven ability to recruit, hire and retain high performing store level teams. Please refer for Job ID (MLT 5787) when inquiring. General Manager / St. Louis MO, Springfield MO, Columbia MO and Eastern IL: Are you a restaurant manager looking for increased opportunity for professional growth and the opportunity to be part of a growing company? If so, we are looking for you! Our client is seeking an energetic, results oriented leader with previous management experience in a high-volume, fast paced restaurant environment. Our ideal candidate is a high integrity individual who is committed to developing people and building strong teams, ensuring exceptional guest service, growing sales and offering a high-quality food product. This is a phenomenal opportunity for a career minded manager who wants to make an impact and play a significant role in the company’s continued growth and expansion! This opportunity is based in St. Louis, MO and local candidates are preferred. Qualified candidates must have multiple years of demonstrated successful management experience in a quick service restaurant including P&L accountability and experience with drive-thru operations. Successful candidates must have outstanding guest relations skills, strong attention to detail and prior experience in recruiting, hiring and training new employees. Candidates should be comfortable engaging with a diverse team including front and back of the house associates. We are looking for an individual who is results driven with effective leadership and people development skills. Please refer to Job ID (MLT5688 for St. Louis) (MLT5694 Springfield) (MLT5695 Columbia) (MLT5696 Eastern IL) when inquiring. Assistant Manager / St. Louis MO, Springfield MO, Columbia MO and Eastern IL: Restaurant franchisee of two national quick service brands seeks a Manager to assist in the day to day operations and the development of the hourly team to continue the long-standing success and growth of the company. This role is a key component in the operation of the restaurant and is a phenomenal opportunity for a talented career minded individual to join a company with the highest levels of integrity and a strong focus on people and providing true hospitality. This role will be responsible for contributing to building sales and driving profitability, ensuring compliance with company standards in all areas of operation, including product preparation and delivery, customer relations, team management, financial accountability, and ensuring that the highest quality products and services are delivered to each customer every visit. This opportunity is based in St. Louis, MO and local candidates are preferred. Successful candidate must have a strong background in management within a corporate restaurant environment, preferably within a national QSR brand. Organization is looking for an ambitious person with high energy who is dedicated and willing to roll up their sleeves and do the work necessary to provide a high quality product in an enjoyable atmosphere. Ideal candidate is articulate, possesses a high sense of urgency, is a strong communicator, is committed to training and developing team members and has demonstrated leadership skills. The individual selected will have a passion for restaurant operations and conduct themselves with integrity and professionalism. Please refer to Job ID (MLT5688 for St. Louis) (MLT5691 Springfield) (MLT5692 Columbia) (MLT5693 Eastern IL) when inquiring. District Manager/Southwest IL: Highly regarded franchisee of multiple brands of Quick Service restaurants with locations throughout the Midwestern US seeks to add an energetic District Manager who has the passion to develop and lead the field operations teams to continue the outstanding success this company continues to realize year after year. The hiring company is looking for a strong leader to be responsible for all restaurant operations in their territory, providing guidance to maximize profits, build sales, control costs and motivate and inspire teams. This role will be accountable for establishing, maintaining and coaching company standards, principles, expectations and culture. Additionally, this role will provide effective leadership in the areas of local store marketing and building commitment to the company’s mission and objectives in the local community. Multi-unit restaurant leadership experience is required. The individual selected will have a proven track record of workplace achievement in the selection, coaching and development of management teams, with a proven ability to simultaneously drive customer satisfaction, financial performance and employee engagement. Organization is looking for an individual with strong verbal and written communication, problem solving and conflict resolution skills. Local candidates are preferred. Please refer to Job ID (MLT5734) when inquiring. General Manager / San Francisco Bay area: We are growing! Are you looking for an exciting career opportunity that can provide upward career progression? Quick service restaurant company seeks talented General Manager in the Bay area to direct the daily operations of the restaurant, to motivate and inspire hourly team members, and to bring excellence in all operational areas, including product preparation and delivery and customer relations. Strong, demonstrated success in team development, recruiting and retention of team members, financial accountability, ensuring compliance with company and franchise standards in all areas of operation and delivering the highest quality products and services to each customer is essential. Successful candidate must have demonstrated success in leading and managing in a fast-paced restaurant environment, preferably in the quick service segment with drive-thru experience. We are looking for an individual who is results driven with the ability to build sales and control cost, someone who is dedicated to providing exceptional customer service and delivering a quality product. Strong, natural orientation toward positive culture and team development is a must. Please refer to Job ID (MLT5684) when inquiring. General Manager Reno, NV: We are growing! Are you looking for an exciting career opportunity that can provide upward career progression? Quick service restaurant company seeks talented General Manager in Reno, NV to direct the daily operations of the restaurant, to motivate and inspire hourly team members, and to bring excellence in all operational areas, including product preparation and delivery and customer relations. Strong, demonstrated success in team development, recruiting and retention of team members, financial accountability, ensuring compliance with company and franchise standards in all areas of operation and delivering the highest quality products and services to each customer is essential. Successful candidate must have demonstrated success in leading and managing in a fast-paced restaurant environment, preferably in the quick service segment with drive-thru experience. We are looking for an individual who is results driven with the ability to build sales and control cost, someone who is dedicated to providing exceptional customer service and delivering a quality product. Strong, natural orientation toward positive culture and team development is a must. Please refer to Job ID (MLT5681) when inquiring. General Manager / Southern Louisiana: Exciting and expanding restaurant group with a strong foundation in the restaurant industry and continual success in multiple venues and concepts seeks an enthusiastic General Manager in Southern Louisiana to join their team of professionals. 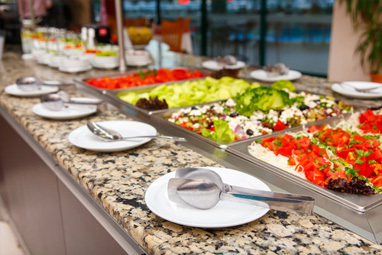 This restaurant company takes great pride in offering the highest quality, fresh food and is committed to giving their guests the finest dining experience every visit in every location. We are looking for an experienced restaurant professional with solid leadership abilities, who is committed to building strong teams, growing sales, and ensuring that each guest has an exceptional experience. This company is looking for a talented professional who can provide a superior guest dining experience to match the outstanding food offerings. This position requires an experienced Restaurant General Manager who will bring an assertive and energetic spirit, driving guest satisfaction, profitability, and associate development. Qualified candidates must have multiple years’ experience in a hospitality management role within a high quality, high volume, full service restaurant environment. We are looking to hire an individual with exceptional guest relations skills, a strong eye for detail, solid financial acumen, with an engaging style focused on development skills to elevate the guest experience through ongoing training and coaching of the culinary and Front of House Management and teams. Please refer to Job ID (MLT5667 for Baton Rouge) or (MLT5668 for New Orleans) and when inquiring. The value of an early childhood education is undisputed. Early childhood education provides experiences designed to provide increased cognitive and social development of youth. As the industry is expected to grow an additional $1.8 billion in the next five years, the demand for quality child care and early education will continue to rise. We serve nationally recognized, award winning early childhood education organizations that provide balanced, well planned curriculum and enrichment programs. At M. Thrailkill & Associates, our experience at sourcing, assessing and managing the search process for mid-level and executive leadership has allowed us to find the top-tier talent that will, in turn, allow your education company to grow and prosper in this highly competitive industry. No Education Industry opportunities at this time. By 2030, there will be an estimated 72 million people over the age of 65. 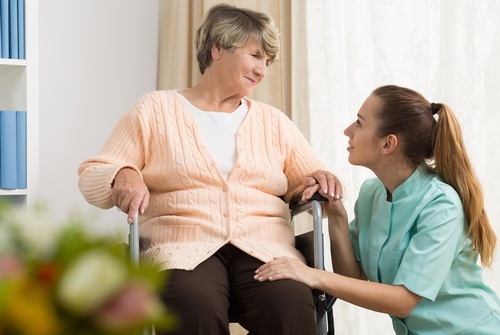 According to the U.S. Department of Health and Human Services, seven out of ten people over the age of 65 will require some form of long-term care, which includes assisted living, residential care, nursing home and in-home care. The aging population creates an unparalleled demand for senior care. The senior care industry is competing with other health care sectors and the service sector as a whole to find employees. These factors challenge the industry’s ability to grow and meet the future needs of seniors. M. Thrailkill & Associates has experience at placing senior care professionals nationwide in all levels of leadership across multiple disciplines. Our innovative approach to finding leadership candidates can help your company compete in this fast-growing industry and create a strong workforce of qualified leaders. Chief Operations Officer/Indianapolis, IN: Growing franchisee of a national, award winning provider of choice in home health care is seeking a pivotal Chief Operations Officer to lead and oversee all daily operational and financial aspects of the business in the North and Central Indiana market. This COO will lead with a “hands on” management style, accountable for the performance in all areas of the business including finances, talent acquisition, client services, training and development, and operations execution as well as providing leadership and advisory to the Director of Operations for each Territory. The role reports to the Board of Directors. Candidates will need to reside in or very near to the Indianapolis IN area. Relocation assistance provided to the exceptional candidate. Please refer for Job ID (MLT 5789) when inquiring.